Get the modern look & save electricity. LED lights use just 1/5th the power of standard halogens! Save big on your electricity bill! 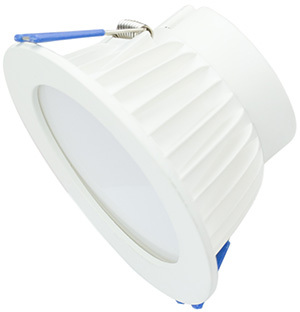 LED downlights use 1/5th the power consumption of standard halogen fittings. And they just look great! Replacement of existing 90mm halogen downlight with lighting base. Price is for new light fitting installed. subject to CEWA standard operating polices and procedures. Many other sizes and models also available for quotation. Request a quote. Fully dimmable (dimmer switch required)!